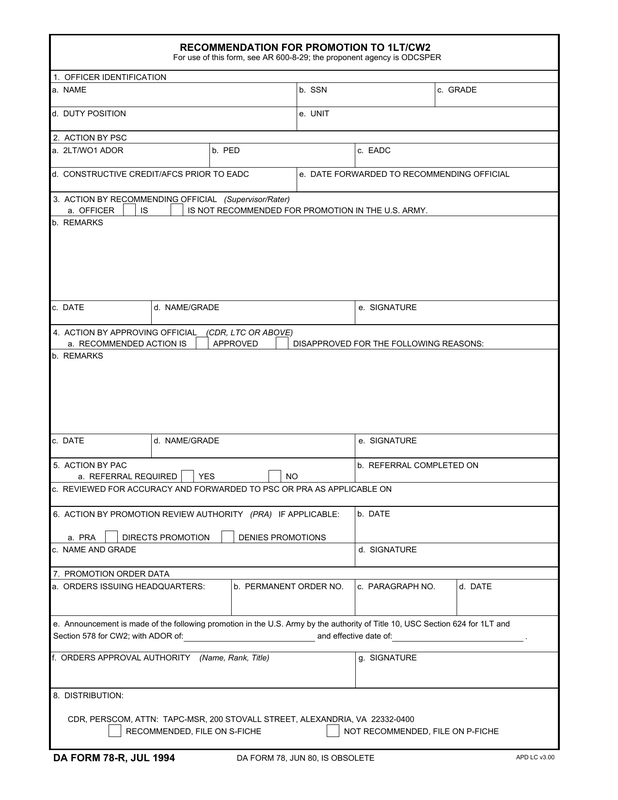 Download DA Form 78-R, also known as Recommendation For Promotion To 1LT/CW2. This form is designed to assist in recommending promotions to deserving officers. The Army provides a process that is centralized for promotions. It is commanders who hold the position of LTC or above who are authorized to promote deserving officers to 1LT and CW2. Step 1- Officer Identification- Complete the information below with regard to the officer, whether he/she will or will not be eligible for promotion. b. Approving Official shall place remarks in the box reflecting approval or disapproval.